You can view photos in slide show mode with background music. Quick-Search, search files by keywords. Note: The actual contents in the package might be different from the packing list in the manual. The FANTEC Disk Box Full HD Mediaplayer design and manufacture has your safety in mind. In order to safely and effectively use this player, please read the following before usage. temperature should be within +5в„ѓ ~ +35в„ѓ. The playerвЂ™s power voltage: DC 12V. the adapter or cableвЂ™s wire or connector. next time it is powered on. (2) Plug in the USB stick, USB DVD or USB HDD etc. to the USB HOST port of this player. (2) Follow the picture and plug in the 3 color connector to the TVвЂ™s A/V IN jack. (2) Follow the picture and plug the other connector on your HDMI cable to the TVвЂ™s HDMI jack. device (digital amplifier or decoder). Note: Optical fiber cable is not supplied. hard disk. Please refer to the following procedures to format the hard disk. Step 1: Select OK on the Warning page, press OK to confirm. Note: This page can be also accessed via Setup->System-> Format menu. Step 3: Select Format, press OK, and then hard disk format will start. Press to open or restart the Smart TV main portal. Press the arrow buttons to select menu options. Press to open the guide bar or enter the home screen. of file manager and media library. Press to display or hide the option menu during playback. Press to enter numerical input 0 or space character. Press to open network option. This button is for Smart TV portal service only. display appears showing track number and time elapsed/remaining. Press to open Operations menu. Add song to playlist or photo to album. Press to set repeat option. Select the Setup icon on the home screen, or press SETUP menu on the remote control. Use the UP/DOWN navigational buttons to select an option, and then press OK.
and display the previous menu screen. Select to change the language of the mini keyboard. Select to format your HDD. Select to enable/ disable BluRay disk menu. Select to enable / disable auto power off after 2 hours without any command. player will be powered on. Choose among LPCM, RAW and Auto. Choose among LPCM and RAW. Select to adjust the audio track to synchronise the lip movements of spoken words. screens. Select when a standard 4:3 TV is connected. 50HZ / 1080I 60HZ / 1080P 50HZ / 1080P 60HZ. NTSC: United States, Canada, Japan, Mexico, the Philippines, South Korea, and Taiwan. Use this menu to configure your network. choose Peer to Peer (Ad Hoc) or WPS (AP) mode. button to choose Peer to Peer (Ad Hoc) or WPS (AP). or access point. Please follow following steps to configure your wireless network. Step 2: Enter WEP / WPA key. select, PBC mode and PIN mode. please be patient to wait. process will take for a while, please be patient to wait. automatically from the server based on PPPOE protocol. Step 3: Press Right button to input your password and start to test the connection. more details on BitTorrent function of this product. on NAS function of this product. Select to update the firmware via a USB stick. to an USB HOST port of the player. Step 2: Press OK to confirm. Select to adjust the key tone volume during usage of the remote control. speed or signal strength (Wi-Fi). Use to move the cursor to highlight the APP or to select menu item. Use to open shortcuts by pressing the related numeric button. Use to open shortcuts by pressing the related color button. character you have typed in. Choose Smart TV icon on the main menu or remote control to open the portal. Choose Service icon to open the region settings. Select all counties to be displayed and go to HOME icon to return to portal. demand), entertainment, music or games. functions though the option menu. to locate the specific media file. Choose to filter by All Movies, Show DVDs or Flash Animation from option menu. Choose to sort by Name, Size, Most Viewed or Recently Added from option menu. You can access the following functions during playback. Pause or resume the current playback. View the previous or next file/chapter. Display or hide the option menu during playback. option menu during video playback. Select to jump to a specific point on a title. Specify the point using Title, Chapter and Time. Select to adjust the value of Brightness, Contrast, Saturation and Hue. files will be displayed. This player supports HD JPEG, JPG, BMP, GIF, TIF and PNG files. to locate the specific photo file. Choose to sort by Name, Recently Added or Recently Played from option menu. You can access the following functions during photo playback. Rotate a photo in any angle. the screen. You can get following functions though the Option menu during photo playback. Select to turn on/off Background music during slideshow playback. Select music to specify the background music during photo playback. files will be displayed. This player supports MP3, OGG, WMA, WAV and FLAC audio files. Choose Albums to search for music files by album. Choose Artists to search for music files by artist. Choose Genres to search for music files by genre. Choose Years to search for music files by modified year. Choose Playlists to search for music by generated playlist. You can access the following functions during music playback. the screen. You can get following functions though the Option menu during music playback. internal HDD, external USB device, memory card and network. Choose a review mode among Thumbnails, List, and Preview from option menu. Choose Movies to display all the supported video files in current directory. Choose Photos to display all the supported image files in the current directory. Choose Music to display all the supported audio files in the current directory. Network SettingsвЂ™ for more details on network settings. One is to browse through workgroup; the other way is to browse through вЂ�My_ShortcutsвЂ™. files that you are currently browsing. files that you want to browse. shown in the list. And then you need to use вЂ�My_ShortcutsвЂ™ to browse shared files. You can also set вЂ�Specific File Server IPвЂ™ and access it from вЂ�My_ShortcutsвЂ™ in the menu. Press the Red button and a popup menu appears. and play the shared media files on the destination computer. take Windows Media Player 11 on Microsoft Windows XP SP2 for an example. remove media files from the library. Visit File Manager - > UPnP menu on the player, select the UPnP-server, and press OK.
the ports manually and add your player to the вЂ�trustedвЂ™ list, or disable the firewall temporarily. To save the playlist, please press the Green button and name the playlist. To save the album playlist, please press the Green button and name the playlist. Enter the photo library, press Option button and choose Albums to show your album playlists. To start the copy procedure, please press the Green button and select Copy. To start the Delete procedure, please press the Green button and select Delete. This player can be used either as a SAMBA Server or as a client. Streaming via NetworkвЂ™ for more details. Note: Please disable Auto standby in SETUP/System to avoid auto power off in NAS mode. and you can manipulate the process via the Web server. Click Add new torrent on the BitTorrent Download page. Click Browse to upload a torrent file, and click Yes to confirm. for torrents, as well as view the status of current torrents. Click Start to begin download. Click Stop to stop download. Click Delete to delete the selected torrent. Click Refresh to refresh the current status. Click Down arrow to decrease the priority for the selected torrent. Click Up arrow to increase the priority for the selected torrent. Click Setting on the BitTorrent Download page to enter the BitTorrent Setting page. In the BitTorrent Setting page, you can configure the following settings. 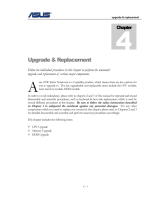 Please refer to USB Upgrade in chapter вЂ�2.1.5 MiscellaneousвЂ™ for more details. Wait for more than 30 seconds, and then lose your finger on the POWER button. Close any program that might be accessing data on the player, including WindowsВ® Explorer. TVвЂ™s will treat this as no signal, and will display a blue screen or screensaver. on the remote control, then switch the TVвЂ™s video input to NTSC or PAL. When the Wi-Fi USB Adapter is connected to the player, it needs some time to get initialized. Question 8. I cannot see files shared on my computer via File Manager->Network menu. вЂ�EveryoneвЂ™ or вЂ�GuestвЂ™ has the right to access. includes software. В© DTS, Inc. All Rights Reserved. -Loss of customerвЂ™s software, firmware, information, or memory data. 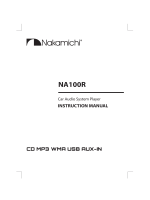 License information for the software used in the unit. you if you distribute copies of the software, or if you modify it. can get the source code. And you must show them these terms so they know their rights. which gives you legal permission to copy, distribute and/or modify the software. or collective works based on the Program. and a licensee cannot impose that choice. 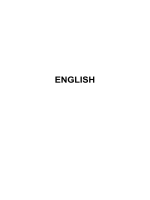 such case, this License incorporates the limitation as if written in the body of this License.